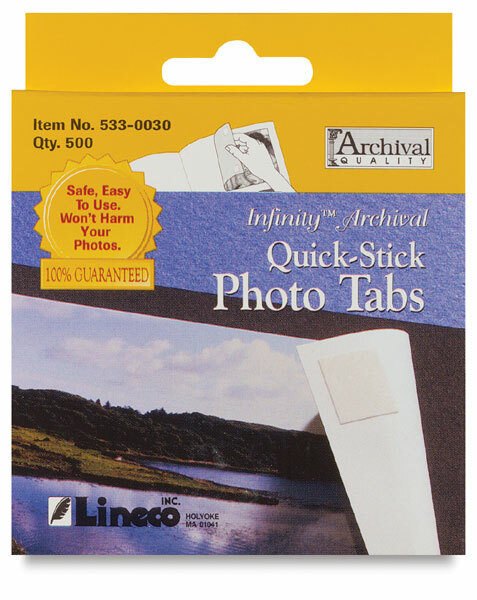 Lineco's Infinity Photo Tabs contain an acid-free, non-yellowing adhesive. Use them to permanently mount photos, news clippings, and more to album or scrapbook pages. ® Lineco is a registered trademark.™Infinity is a trademark.